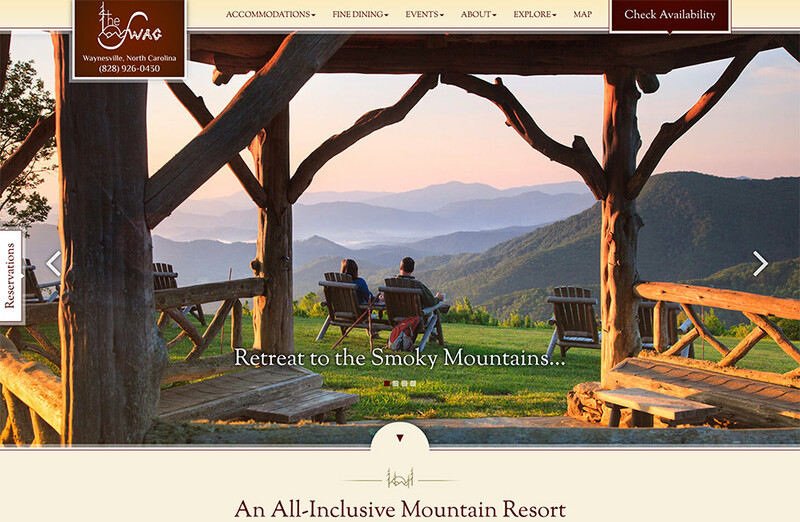 As one of the premier destinations in the Smoky Mountains, we were honored when we received a call from the General Manager of The Swag to have us redo their website. Rare Brick had created their original design over a decade ago and they were still using the same design albeit with a few modifications. 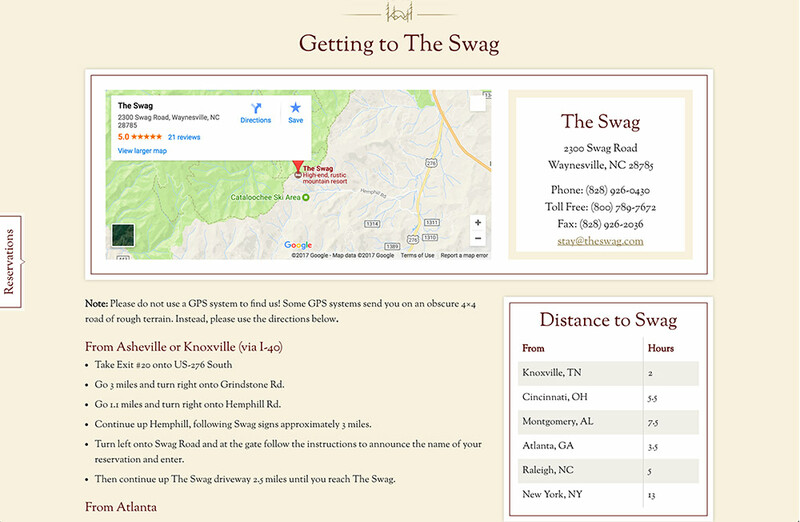 As the iconic lodging destination they have become known for over the last 30 years, we knew we were up for a challenge to create a site that kept the “swag” style they hoped to communicate to the world. In the words of their General Manger, ‘Everything here is very ‘swag-like’ and you will have to achieve that aesthetic in order to truly satisfy the owners. 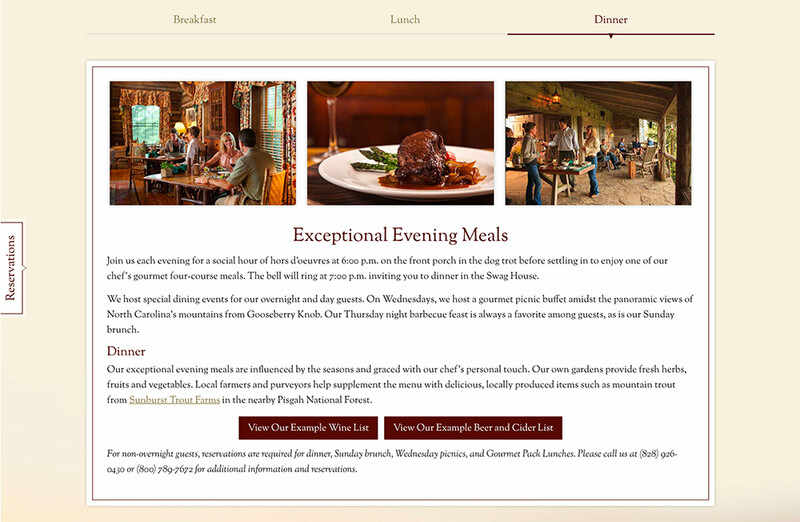 If we couldn’t hit the right tone with their brand, we weren’t going to be able to launch their site. 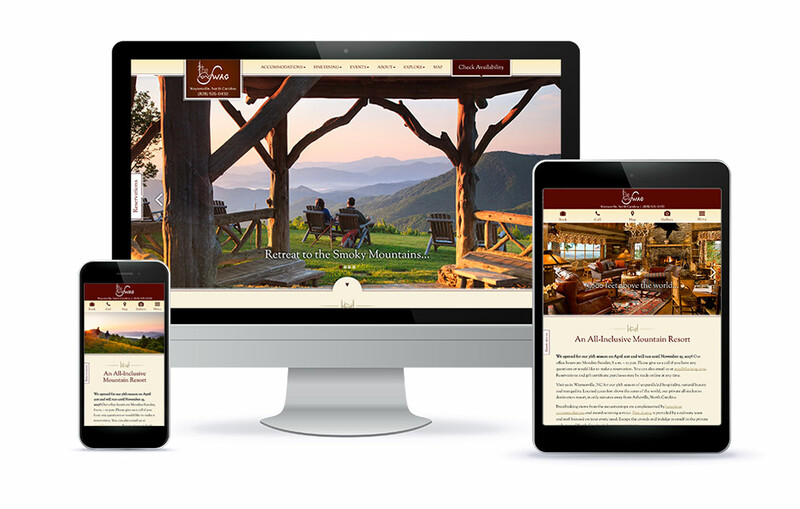 With that directive in mind, our team got to work on this custom, one of a kind site and poured all the White Stone Marketing time and talent in achieving a site that would pass the test of these highly discerning owners. Fortunately, we hit it out of the ballpark. Take a moment to enjoy the years of Jumping Rocks Photography sprinkled throughout the site. Year after year, Mark Smith and Matthew Lovette went back to The Swag to capture all the elements of this truly unique lodging accommodation. You’ll note all the outdoors showers, expansive and panoramic views, luxurious yet rustic accommodations and an extensive calendar of events. 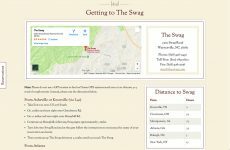 The Swag has packages and specials for all types of travelers easily bookable and accessible in their innovate and user-friendly design. National Geographic, Conde Naste Traveler, The New York Times and Zagat have all reviewed and praised this exceptional property. 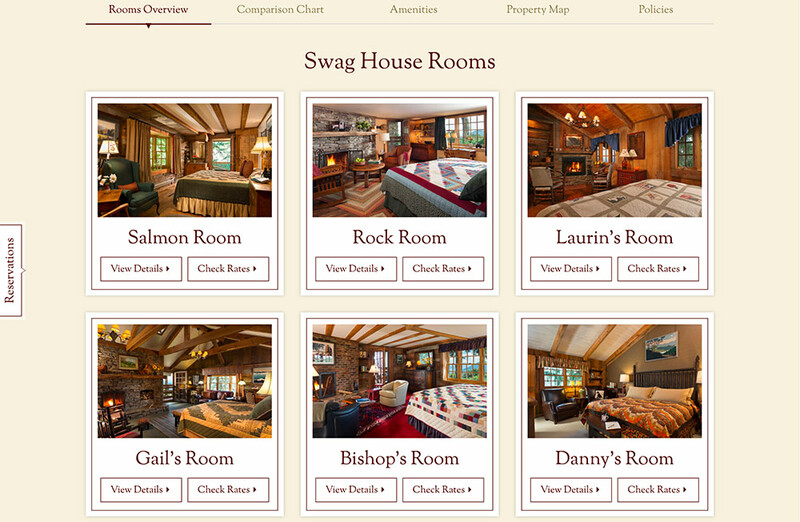 If you haven’t experienced The Swag, you haven’t experienced luxury lodging. This is one you don’t want to miss. Thank you Dan, Deener, Marla and the whole Swag Staff for your tireless efforts in helping us achieve a website worthy of the incredible property you have created over these many years.